Nikon, Canon or Sony cameras indicate that your memory card is full but nothing! This article provides a proven solution to recover lost data. Case 1. "I deleted some pictures on my HP laptop, but when I put the card back in a Nikon D3000 camera, it indicated that the card was full, but there was no picture during playback. Case 2. "I have a problem with the D3000. Whenever I open it, I receive an error message." This memory card cannot be used. The card may be full. "I tried to connect the card to my computer. There was nothing. Please help me!" Why does my camera SD card say full but no file? How can I solve it? 1. There is a file on the SD card, but the file is not visible or hidden, so the SD card shows complete but no file. 2. The SD card format is incorrect. When you cannot display hidden files, it is a good idea to restore and export camera SD card files to other devices to avoid data loss. 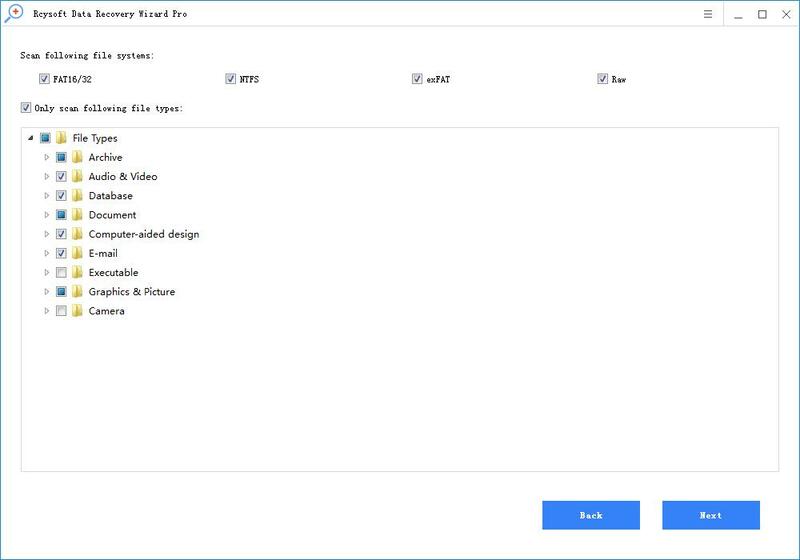 Rcysoft file recovery software becomes a good choice. The program is a professional recovery software that helps you to recover and export hidden files like SD card, pen drive, hard drive etc. 1. 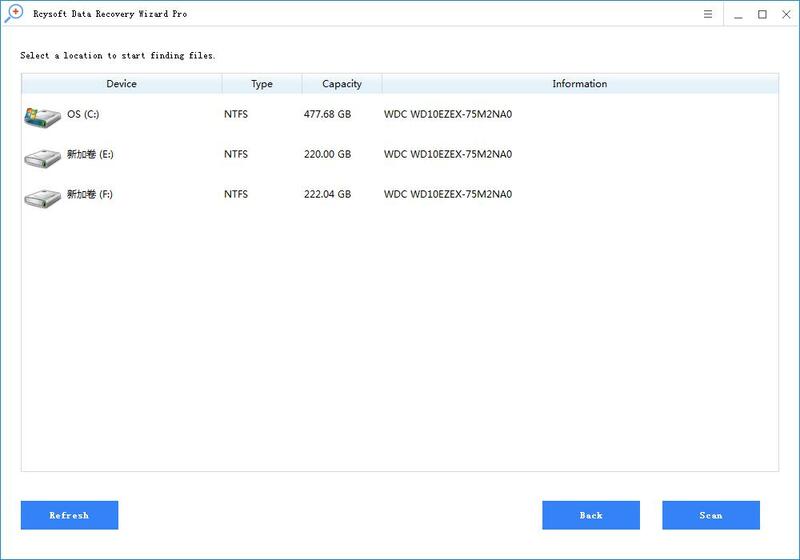 Connect the SD card to your PC. 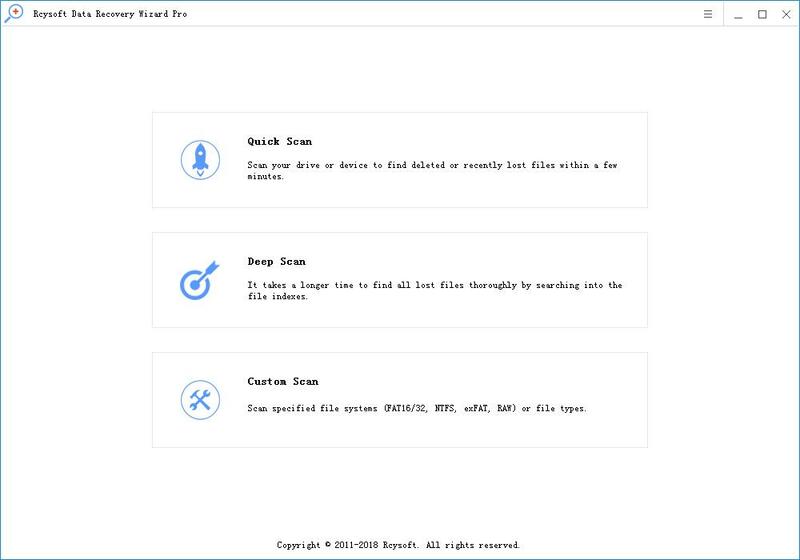 Start Rcysoft SD Card Data Recovery Software, select SD Card and click "Scan" to search for all deleted, lost and existing files. 2. After the scan is complete, you can filter the data by file type to quickly find the missing content. Finally, click the "Restore" button to restore them from the SD card. Here, it is best to export all recovered files to another drive or device in case data recovery fails. In the search box, click Start > Type: Control Panel. Switch the view to category and click Appearance and Personalization. 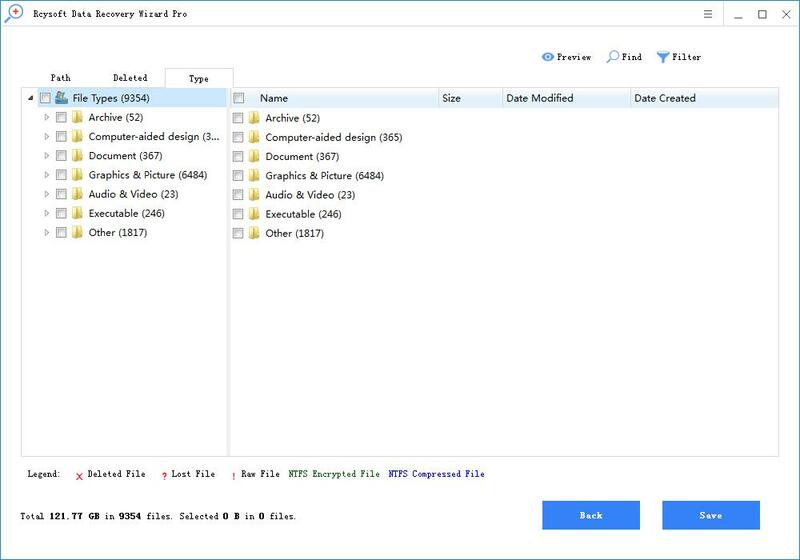 Click File Explorer Options> View View> Show Hidden Files, Folders & Drives> Apply. Open the Windows File Explorer and find the full SD card, right click on it and select the format. Set the file system to NTFS and click OK to confirm that you want to format the SD card. Tip: If none of the above solutions can help you, it's best to take the camera to the shopping mall and let the maintenance staff check the camera and fix the camera.